Saturday the 25th of November The Specials’ frontman and British cultural icon, Terry Hall, will be playing a headline DJ set at Great Northern Soul Food’s Winter Warmer event at the rather special Boiler Shop, Newcastle. It all marks the culmination of an all-day party, with food available from the much-lauded Scream For Pizza (who recently featured in Phaidon’s esteemed Where To Eat Pizza guide, local favourite Chuchos tacos and Jimmy Mac’s Soul Food Kitchen alongside some of the best Soul & Funk DJs in the city and with some top class live Soul music thrown into the mix, it looks set to be a great day out. It’s a huge coup that the music legend will be rounding out the festivities, and it’s set to be a packed day of top times. 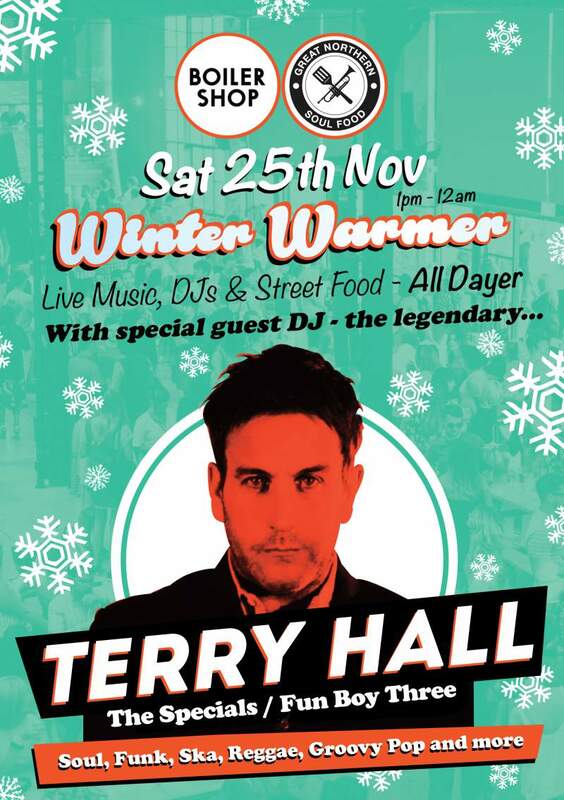 Terry Hall comes to Great Northern Soul Food at Boiler Shop on Saturday 25th November.